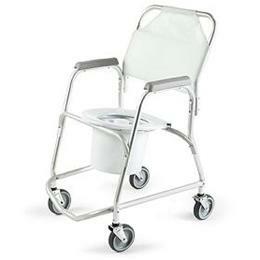 Designed to transport an individual to-and-from the shower. Nylon backrest moves to allow easy access to an individuals back. Snap on, plastic molded toilet seat and pail.